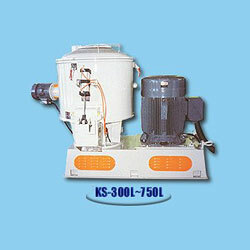 Manufacturer of Plastic Granulators, Extruders Drying & Agitator Machines. 5. Machine size (mm): 2500 x 1000 x 1900. 3. Machine weight (kg): 2100. 4. Machine size (mm): 2500 x 1000 x 1900. 5. Compatible model: employed with 600L capacity cooling blender.